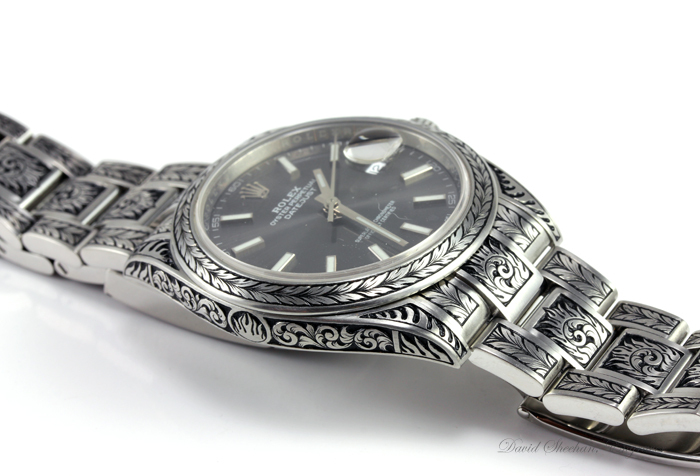 Rolex Watch Engraving with Flaming Scrolls!! 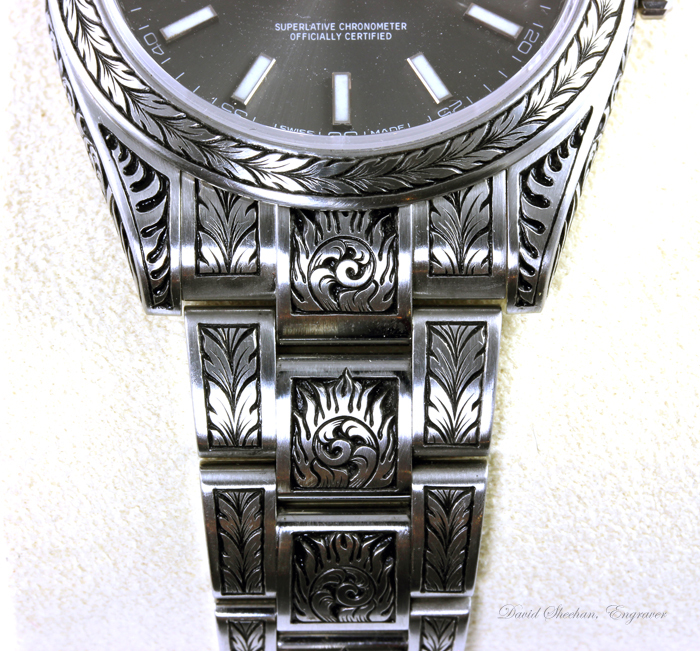 I was commissioned to engrave this fine Rolex watch for a customer who is in the fire protection business. He loves the old style scroll and leaf designs but he asked if I could incorporate something related to his business. 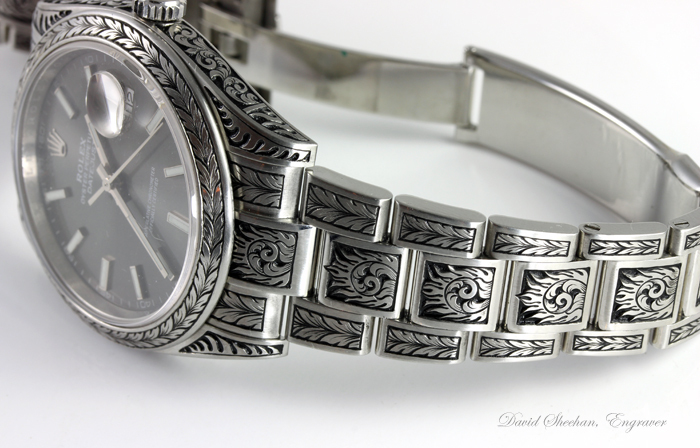 Thus I came up with the idea of hand engraving flaming scrolls and a few flames engraved on the lugs. 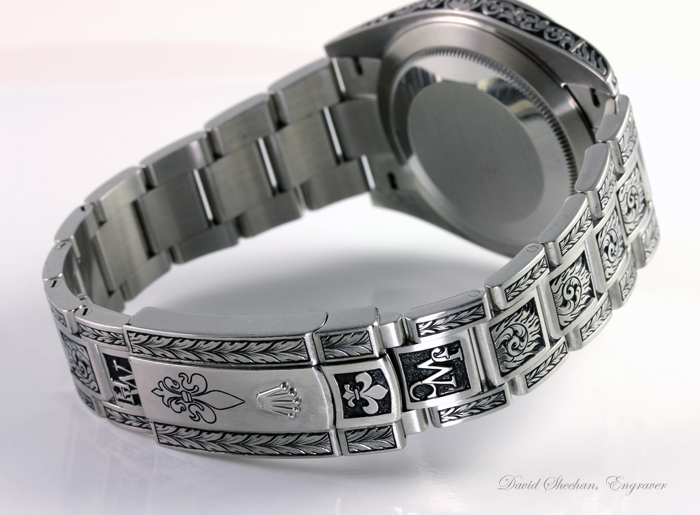 I also engraved 3 letter monograms on each side of the band. 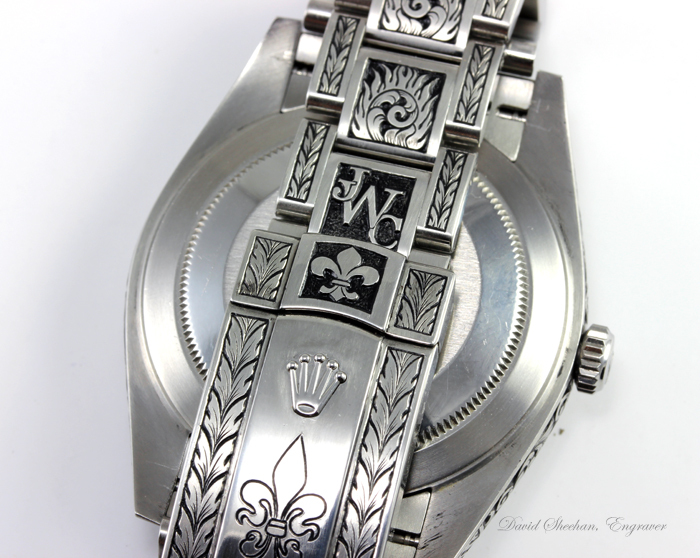 Lastly he asked for Fleur-de-lis designs in the clasp. Personally I really like how this design came together and my client is quite happy as well. 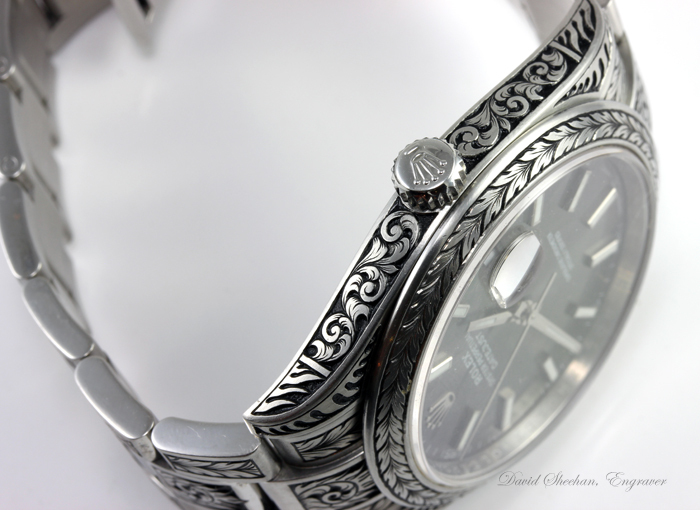 As always, Rolex watch engraving is always challenging and time consuming but well worth the effort in the end. 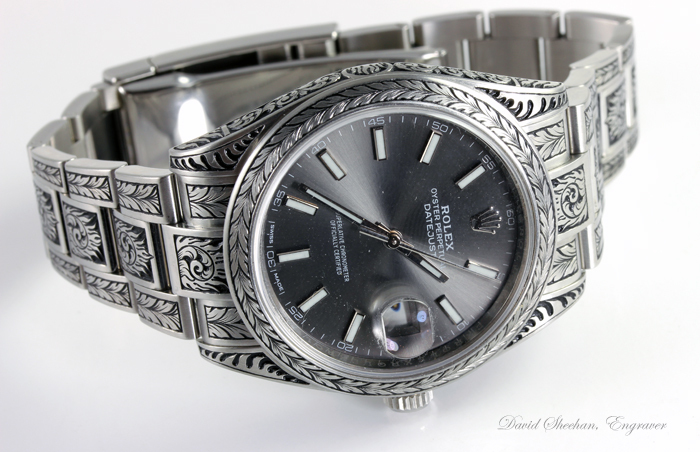 Hope you like this hand engraved Rolex as much as I do!